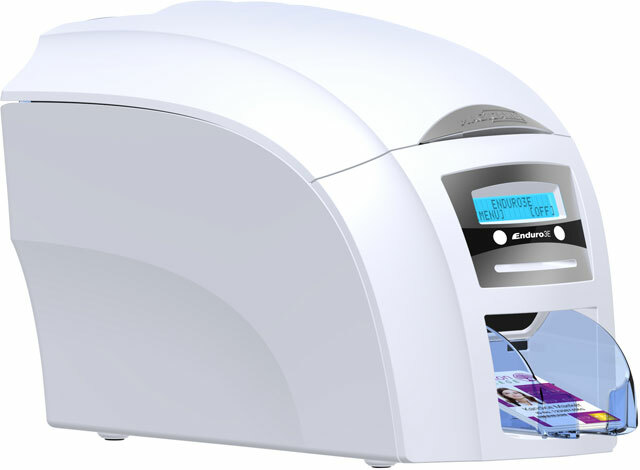 Magicard Enduro 3E Duo - Enduro 3E Duo, Double-sided ID card printer, No Encoding, 3 year factory warranty, no loaner, Ask about Extended Warranty options for this printer. Robust, durable and reliable, the Enduro 3E is perfect for schools, colleges and medium sized businesses that print up to 10,000 cards per year. 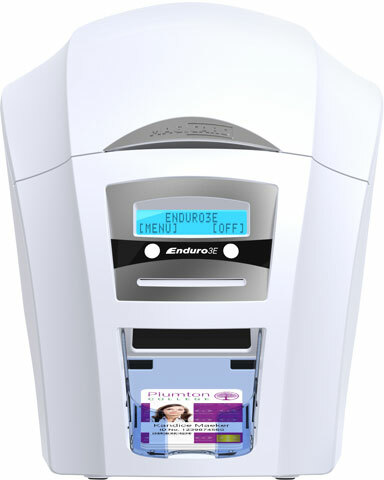 Many tens of thousands of Enduro series printers have been commissioned since its inception in 2008 and millions of secure ID cards are printed throughout the World on this platform every year. 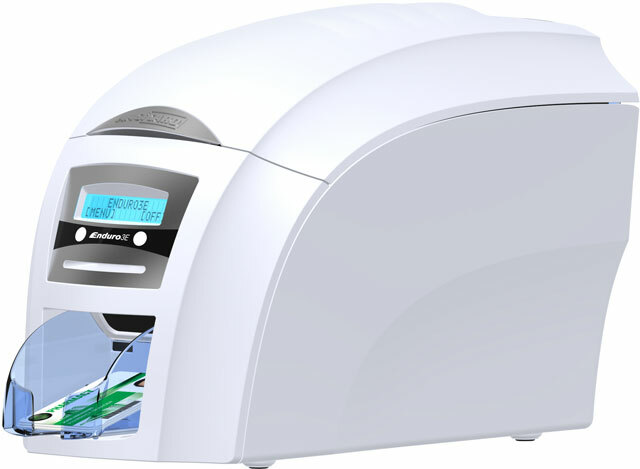 Now with USB and Ethernet interfaces as standard, the Enduro3E is easy to install and easy to use. 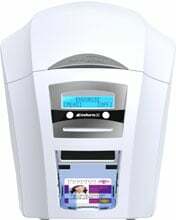 Driver compatibility includes Windows 8, 10 and 10.1, as well as Mac OS X. Batch print with the interchangeable 100-card feeder or print one-offs or rewritable cards with the hand-feed card slot. You can also enhance to double-sided printing with a simple drop in dye film upgrade. Full Color (YMCKO) Half Panel Color dye film, 450 images. The ribbon is used to print in a variety of colors: yellow (Y), magenta (M), cyan (C), and black (K). The remaining overlay (O) provides an extra layer of protection for the card. This ribbon is used to print text and full color images on one or both sides of the card. Compatible with Pronto, Enduro, Enduro+, Enduro3E and Rio Pro ID Card printers. The Magicard 3633-3021 is also known as Ultra Electronics Card Systems	MGC-36333021	or 36333021	.